Iron ore beneficiation plant asset in Brazil (iron ore crushing, processing). Ore crushing is a key process to handle the run-of-mine ore minerals like iron ore, gold, bauxite, copper, manganese, nickel, coal etc. at ore dressing plant. Generally, three phase crushing process will be adopted to deal with ores: coarse crushing, medium crushing and fine crushing. 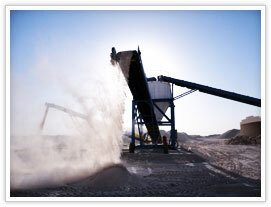 The popular ore crushers are jaw crusher, hammer crusher, impact crusher, cone crusher and VSI crusher. Through the coarse crushing by jaw crusher, the size of ore is less than 1m in diameter, and after medium crushing, the crusher breaks down boulders into lumps about the size of a footballand fine crushing, the size will be reduced to less than 12mmwhich is ingrapefruit-sized lumps. Ball grinding mill used in bauxite ore dressing plant for fineness grinding.Ore grinding process plays an important role in ore beneficiation plant. The ore milling machine grind the crushed ore minerals into fine even ultrafine powder so that the leaching and smelting process can go smoothly. Our engineer will design different grinding lines for the customers according to customers’ requirements and the nature of the minerals. Ore dressing plant is a major part of ore beneficiation plant.Usually, we will equip the ore dressing plant with jaw crusher, impactor, cone crusher, ball mill, trapezium mill, classifier, magnetic separator, flotation machines, thickener, dryers and other ancillary equipment like conveyors, vibrating feeders, screens, washers etc. The whole unit feature with high efficiency, low energy consumption, high capacity, economical and so on.